It’s happened to most everyone, including the wealthy—a Valentine’s Day which is all too typical: You arrive with reservations at a fine-dining restaurant, the crowds are in full force and the kitchen is under pressure to perform on the busiest day of the year. You can feel the stress in the air when you order from your wait staff, and the Valentine’s Day of romantic seclusion you envisioned, with only you and your loved one, is not what you imagined. Is there a better and more creative way to do a luxury Valentine’s Day? Planning the perfect Valentine’s Day can be tricky. You want to be creative, surprising and perhaps spontaneous, but in San Francisco, one of the most popular restaurant capitals of the world, you need to be original to surprise your Valentine. Why not go a step further and depart the city altogether, instead experiencing the serenity of the Sierra Nevada? Picture Yosemite National Park, a world-renowned location, but in winter (and especially Valentine’s Day) an empty and serene winter oasis. You have the site almost to yourself, in what feels like a national park created for only you and your loved one. On the surface, especially in winter, it appears that Yosemite is a chilly, frozen and desolate tundra. In reality, however, when you open your mind to an out-of-the-box Valentine’s Day tour, a whole new winter world awaits, one unlike any you’ve ever seen. 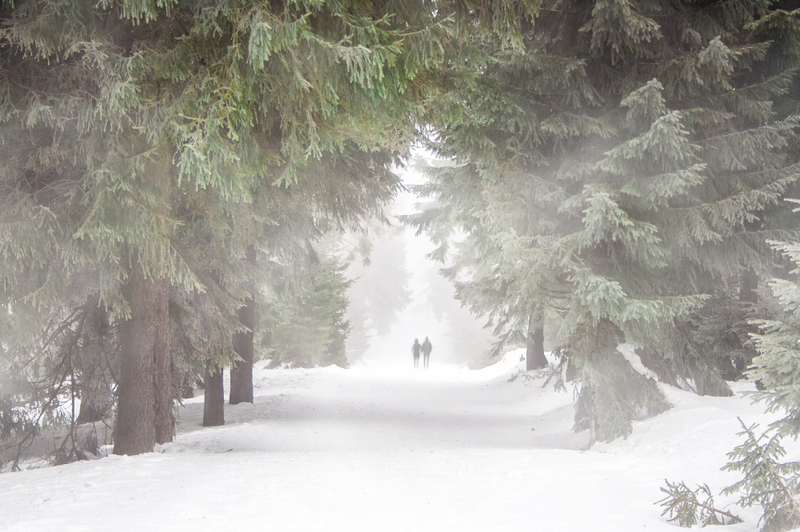 For example, did you ever consider a cross-country, overnight ski trip to Glacier Point for Valentine’s Day? The usually crowded viewpoint is virtually empty in winter, and since the only way to arrive is by skiing, it means you can spend a night virtually alone under the stars—some of the best star viewing in Yosemite—with only you and your valentine. Don’t worry; you won’t freeze in the snow. You’ll stay in a rustic cabin overlooking Half Dome. Talk about romance. 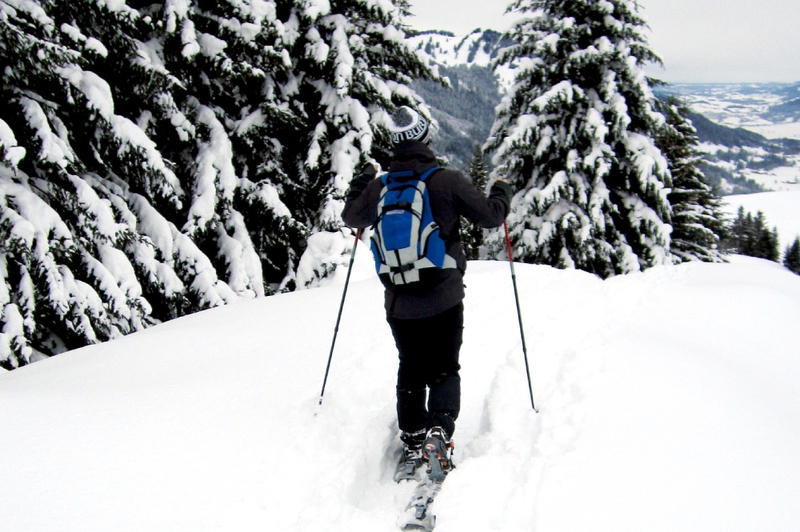 Or how about a guided snowshoeing hike to Dewey Point led by a Yosemite ranger? You depart from Yosemite’s Ski & Snowboard area—California’s first ski resort—and safely hike in the fluffy snow to one of the most beautiful views above Yosemite Valley. Does that sound more original and romantic than bumping elbow-to-elbow with other San Francisco Valentine’s Day restaurant goers? And you don’t need to be intimidated by the winter weather, either. The drive you can do yourself, or if you’re more into luxury service, call us and we’ll get you there safely and plan and arrange your winter Yosemite tour from start to finish. All you need to do is type a few letters on your keyboard and we’ll get to work. Are you not the active type? No problem. There are plenty of other easy less energetic things to do in Yosemite on Valentine’s Day, especially if you want luxury. If you’re more the relaxed romantic type, then venture to Yosemite Valley, the most popular spot in the beloved park, and one of the only areas open in winter near the famous landmarks such as Tunnel View, Bridalveil Fall and El Capitan. And you can stay in the luxurious Majestic Yosemite Hotel. 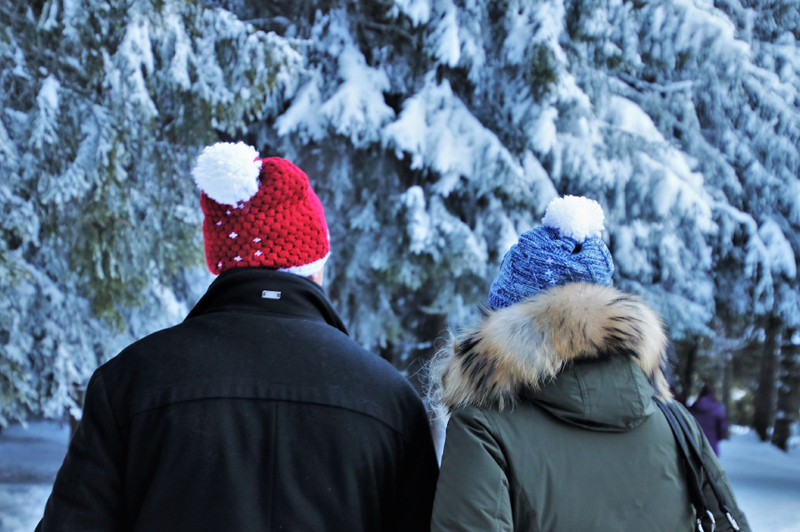 You and your valentine can stroll hand-in-hand, enjoy the winter wildlife and even view Half Dome covered in snow from your window when you wake in the morning. The reservations at the hotel are much easier to book in winter than in summer. Other luxury amenities are here, too, such as the Grand Dining Hall—with 10-meter ceilings and great food for your fine dining needs, including a legendary Sunday brunch. And don’t miss the gift shop and its authentic Native American tapestries, which bridge the gap between Yosemite’s original inhabitants of thousands of years ago and today. For a stellar Valentine’s Day experience in Yosemite, it’s more about the experts you know who can help you than what you think you know, just as in many other facets of life. The Valentine’s Day you imagine for your loved one can materialize in many forms. And truthfully, there is nothing wrong with a fine-dining restaurant night in San Francisco. We only want to open your eyes to the possibilities around you, and how one phone call to us can create a Valentine’s Day to remember for a lifetime.